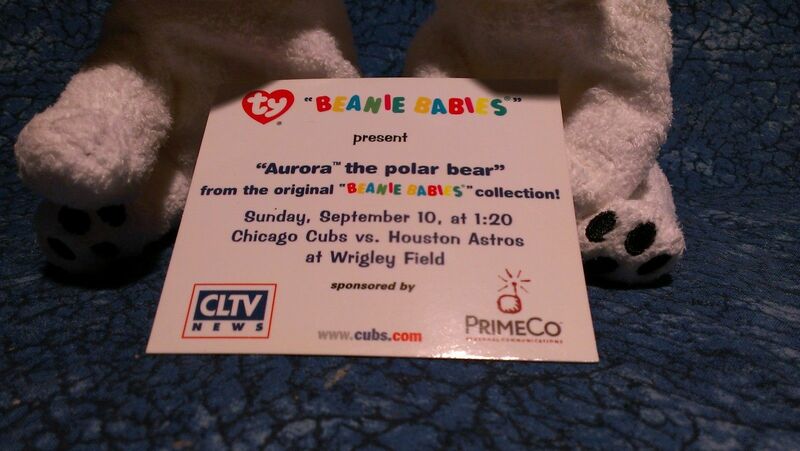 Notes: If you have the Aurora that was given away at the Chicago Cubs game on September 10, 2000 – with the Commemorative Card (pictured below) that probably has some value. Just the card shown below sold for $10.00 on eBay. With the Aurora Beanie Babie and the card together you might be able to get $15-20 out of it. They gave away 12,000 Aurora’s at that game. 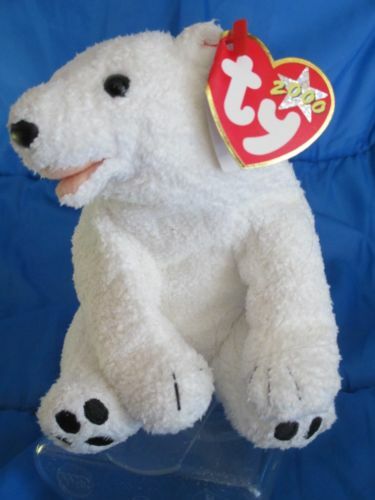 The regular version of Aurora Polar Bears aren’t worth much at all. $5-10 at the very best, but in reality they are just $1.00 items at this point.